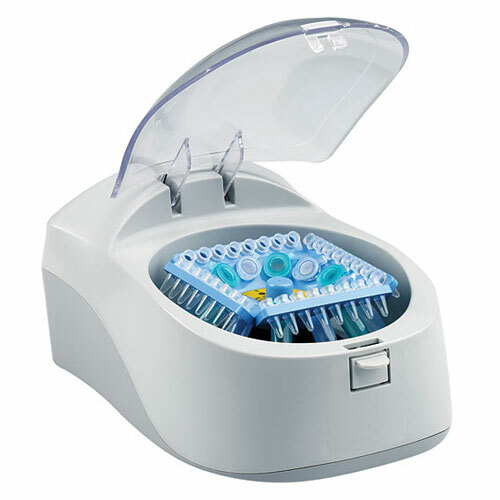 The Prism™ Microcentrifuge is an easy-to-use, high performance microcentrifuge in a modern and attractive housing. The new friction fit lid latching system combines reliability and safety with easy operation, while the updated control panel with a single large control knob and easy to read Liquid Crystal Display provides an intuitive interface for operation. Speed (in RPM or G-Force) and run time can be quickly and accurately set, with actual speed and time remaining displayed during a run. 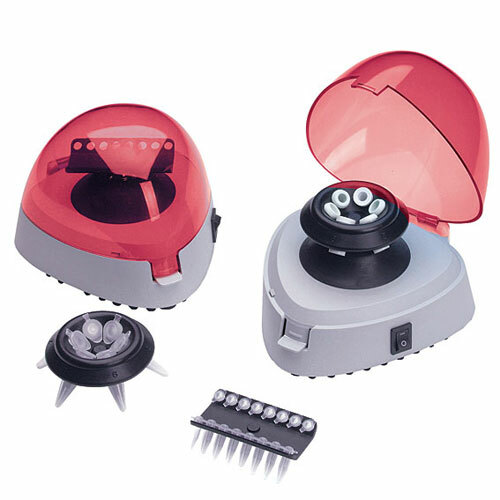 This latest air-cooled microcentrifuge combines high speed, quiet operation, and effective air cooling in one compact instrument. 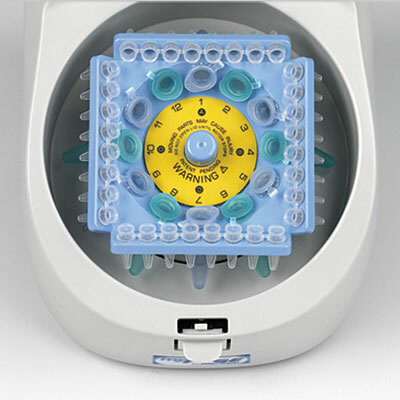 Prism’s uniquely designed 24-place rotor allows easy access to the tops of sample tubes, allowing for faster work flow. The individual tube cavities in the solid rotor, support tubes along their length to eliminate tube deformation or cracking even at the highest speed settings. In the event of a tube failure, tube pieces and samples are confined to the sample well. The rotor is designed to hold all standard 1.5/2.0ml tubes (both conical bottom and skirted), and the snap on lid offers space for micro-filter filters that fit into the tops of the tubes. 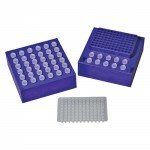 Adapters are available for processing smaller tubes, and the StripSpin™ Adapter fits onto the top of the rotor for centrifuging standard 8-tube PCR strips. 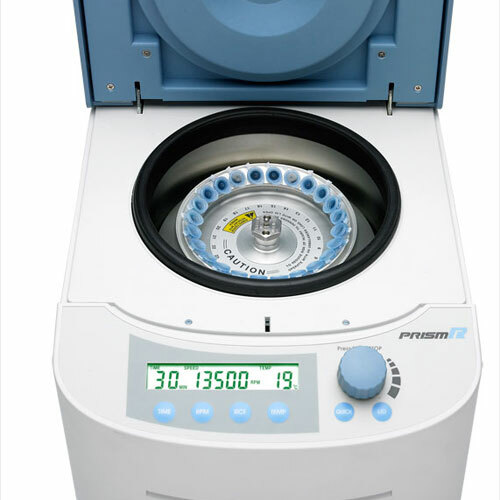 The Prism™ Microcentrifuge offers a maximum speed of 15,000 rpm / 21,200 x g for very efficient separation of nucleic acids and protein samples. 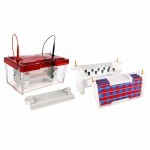 Rapid acceleration and deceleration reduce processing time, and the unique multi-flow air cooling system keeps the rotor and samples close to ambient temperature with minimal noise.